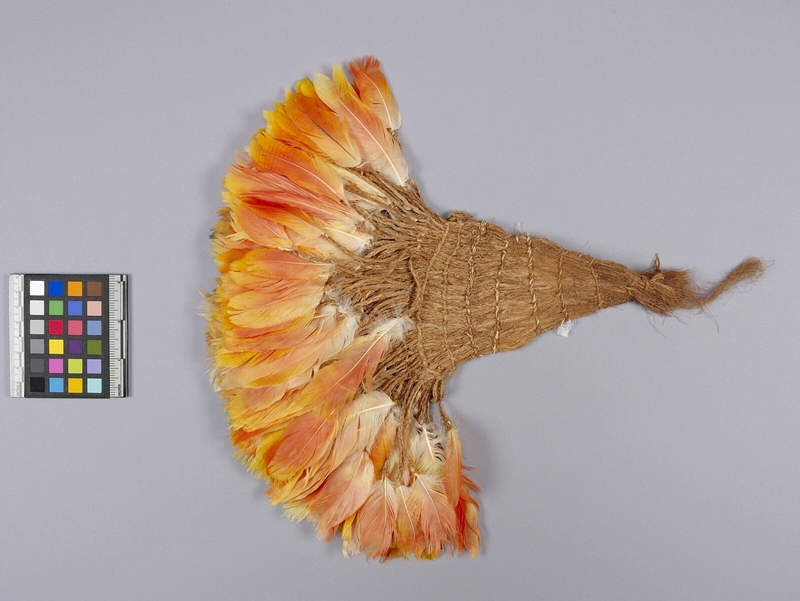 Item number 1067/21 from the MOA: University of British Columbia. Triangular woven handle fans out towards the end. Thick layers of orange-yellow feathers adorn the end. Handle has several sections of horizontal stitching.